Standards issued under the Americans with Disabilities Act (ADA) and the Architectural Barriers Act (ABA) address accessibility to a variety of communication elements and features. Requirements address elements such as fire alarm systems, signs, telephones, detectable warnings, assistive listening systems, automatic teller machines, and two-way communication systems. 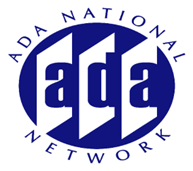 This session will review the scoping and technical provisions for accessible communication elements and features in the ADA and ABA standards and highlight updates to the specifications.